1. Recommended Curriculum - The curriculum that is recommended by scholars and professional organizations. Example: syllabi, course of study, module, books or instructional guides, lesson plan. 3. Taught Curriculum - The curriculum which teachers actually deliver day by day. 5. Learned Curriculum - The bottom-line curriculum it is the curriculum that students actually learn. 6. Assessed Curriculum - The curriculum which appears as tests and performance measures: state tests, standardized tests, district tests, and teacher-made tests. 1.Topical Approach – Content is based on knowledge and experiences. 2. Concept Approach – Fewer topics in clusters around major and sub concepts. 3. Thematic – Combination of concepts. 4. Modular – Leads to complete units of instruction. 1. Self-Sufficiency – it is about helping the learners to attain the utmost independence in learning yet in an inexpensive way. It is the most important guiding principle in selecting the content according to Scheffler. This means, more of the results and effective learning outcomes though a lesser amount of the teacher’s effort and so with the learner’s effort. 2. Significance – It is significant if fundamental ideas, concepts, principles and generalization are supplied in the subject matter to achieve the overall aim of the curriculum. 3. Validity – The genuineness of a content selected is by its legality. The subject matter to be selected has to be legal to avoid selecting the obsolete ones. ; must be verified at regular interval. 4. Interest – The learner’s interest is a major factor in selecting the content; one of the driving forces of the learner to learn better. 5. Utility - Deciding on subject matter, its usefulness is considered to be essential. 1. Balance – Content should be fairly distributed in depth and breadth. 2. Articulation - As the content complexity progresses, vertically or horizontally, smooth connections or bridging should be provided. This ensures that there is no gaps or overlaps in the content. 4. Integration – Relatedness or connection to other contents. Provides a holistic or unified view of curriculum instead of segmentation. 5. Continuity – Should be perennial, endures time. Constant repetition, reinforcement and enhancement are elements of continuity. 1. Curriculum Planning – Considers the school vision, mission, and goals; includes the philosophy or strong education belief of the school. 2. Curriculum Designing – The way curriculum is conceptualized to include the selection and organization of content, the selection and organization of learning experiences or activities and the selection of the assessment procedure and tools to measure achieved learning outcomes. Also include the resources to be utilized and the statement of the intended learning outcomes. 3. Curriculum Implementing – Putting into action the plan; it is where the action takes place; involves the activities transpire in every teacher’s classroom where learning becomes an active process. Educators must first identify the students’ needs for the development of the curriculum. The content matches the objectives, as well as demonstrates validity. Curriculum content is designed based on students’ interest, development, and achievement. Instructional methods are selected by teachers. The organization of the learning activities is determined by the teacher. Evaluation procedures are determined by students and teachers. 1. Substitution - Current curriculum will be replaced or substituted by a new one. Complete overhaul and not merely a revision. 2. Alteration - There is a minor change. 3. Restructuring - Major change or modification in the school system, degree program or educational system. 4. Perturbations - Changes that are disruptive, but teachers have to adjust to them within a fairly short time. Ex. A teacher who gives emphasis on academic and forget the formation of faith and values needs value orientation. 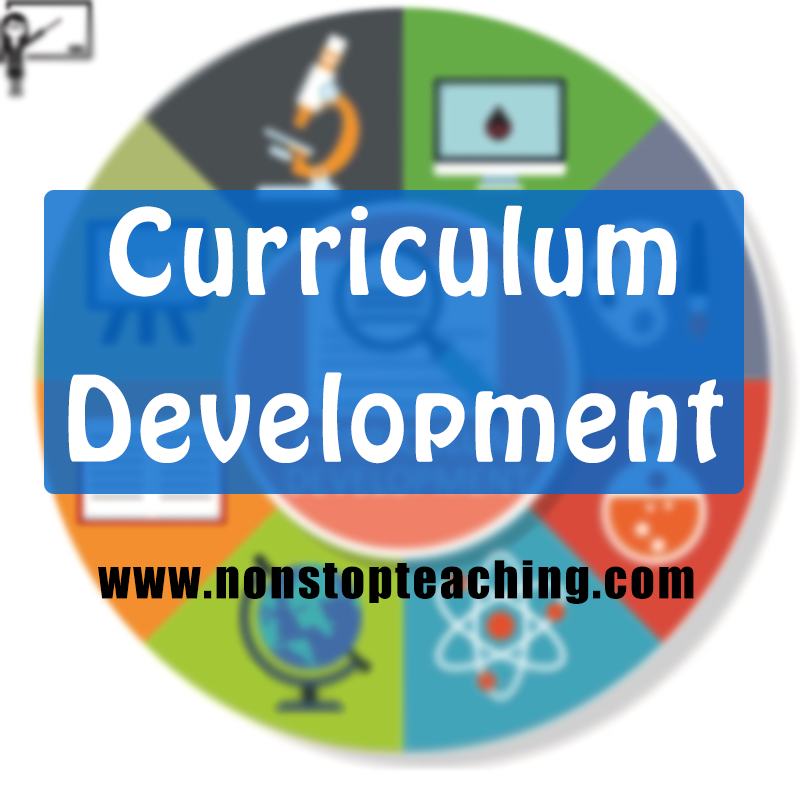 This article contains the summary of the curriculum development course that are good for review.